Wellness of the whole person is an important part of successful cultural adjustment. The Campus Connectors are student leaders who support students with social integration, cultural adjustment, and help them find appropriate services and resources on-campus. This program highlights key resources on campus such as the Health and Counseling Center, the Career Center, Shepard Academic Resource Center, the Learning Commons, recreational services, Campus Ministry, residence life, and Graduate School program coordinators. The Campus Connectors provide assistance to all new students through orientation presentations, welcome socials, one-on-one meetings, and off-campus activities. If you would like to schedule an appointment to meet with the Campus Connector, send an email to iss@up.edu . 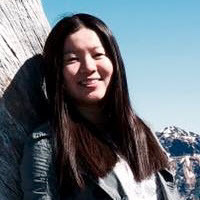 "As a campus coordinator, Sunshine Huang assists with social events for international students at UP. She is from China, and she majors in English and secondary education. During her free time, she enjoys photographing, hiking, reading and exploring new things!" 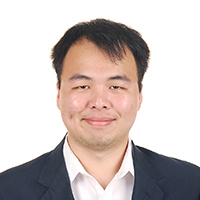 "My name is Daniel Wardhana and I am one of the campus connectors of this coming year. I will assist students by Advising and Networking International students, as well as organizing social events/gathering. I am originally from Indonesia, and my hobby is to travel & play Intramural sports."